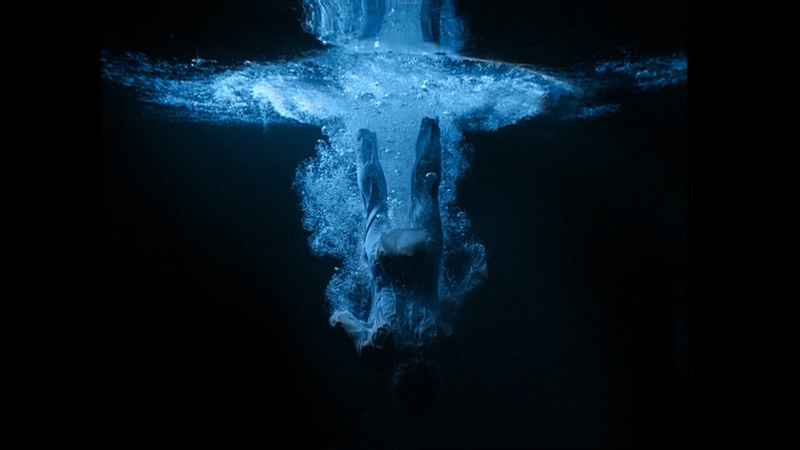 This work is on display in the exhibition Bill Viola / Michelangelo: Life, Death, Rebirth until 31 March 2019. Michelangelo, The Virgin and Child with the Infant St John, ca. 1504-1505. Marble. 107 x 107 x 22 cm. Royal Academy of Arts, London. What’s happening in the scene? The infant figure of St John the Baptist stands to the left with his baptismal bowl, the “attribute” with which he’s often recognised in art history. He presents a bird to the infant Christ, who momentarily turns towards his mother, symbolically anticipating his future destiny; the bird is widely believed to be a goldfinch, which represents the Christ’s Passion, the time of suffering before his Crucifixion, because a goldfinch is said to have removed a thorn from Christ’s crown when he was carrying the cross. While it’s often thought that Christ’s reaching away from the bird and towards his mother expresses his fear, more recently other scholars have argued that Christ’s pose is playful as the goldfinch was a common pet in this period. This marble is believed to have been carved from 1504 to 1505 during Michelangelo’s first period in Florence. It’s unfinished, probably because he left it when he travelled to Rome in early 1505 to work on Pope Julius II’s tomb. Giorgio Vasari, well-known for his Lives of the Artists published in 1550, suggested that Michelangelo did not complete some works out of creative frustration – an idea which has crystallised into the notion of the artist as troubled genius. Why is it called the Taddei Tondo? The sculpture got its nickname because it was commissioned by the wealthy cloth merchant and connoisseur Taddeo Taddei and Tondo is a Renaissance term for a circular work of art. Despite its grand, ecclesiastical appearance, it was intended for a domestic setting and it remained in the merchant’s Florence home, the Casa Taddei, until the early 19th century. Why is it in the RA Collections? In 1822 the Tondo was purchased by the collector and amateur painter Sir George Beaumont who brought it to London where, according to the artist Sir David Wilkie RA, it “became the chief talk of all the artists”. Beaumont left his works of art to the nation; his bequest of Old Master paintings led to the establishment of the National Gallery and Michelangelo’s Tondo was promised to the Royal Academy. The Tondo was received by the Royal Academy following Lady Margaret Beaumont’s death in 1829. Within a week of the artwork being at the Royal Academy, John Constable – who had just been elected a Royal Academician, aged 52 – declared it “one of the most beautiful works of art in existence”, and did the sketch you can see here. John Constable RA, Sketch of Michelangelo's Taddei Tondo, 1830. Pen and brown ink on paper. 12 x 13 cm. 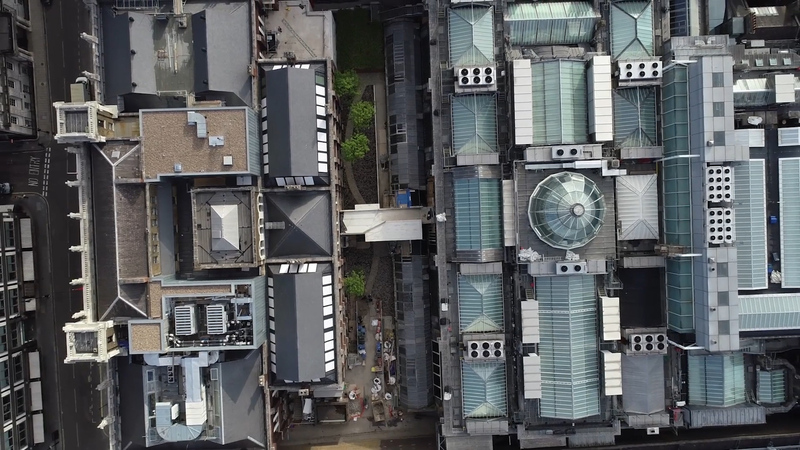 Royal Academy of Arts, London. 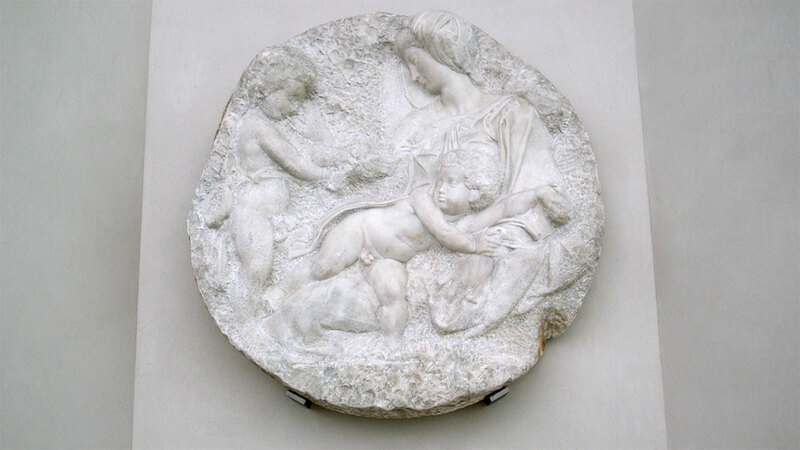 Michelangelo: The Taddei Tondo by Alison Cole has recently been published by Royal Academy Publications.